More great products from Fastflex, please see below our range of quality products. Our products have been listed in alphabetical order to help you find what you need by a click of a button. 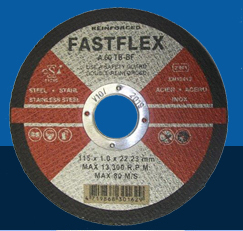 Fastflex products, a full range of steel and stone cutting discs, grinding discs and flap discs.